In order to meet high quality requirement and reduce the lead time and the cost of project, our crafting operation is divided or combined 3 different types of process depend on the contents of crafting of each project. 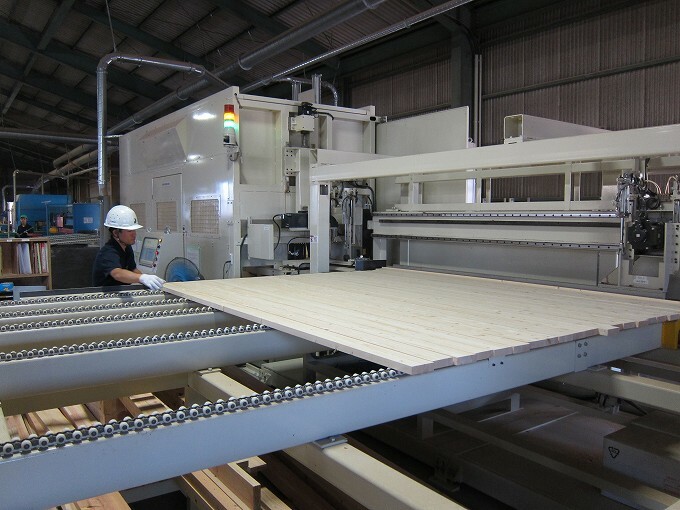 The processes are dedicated component for fully automated productions for common residential projects, CNC joinery machine production and hand cut process for custom cut projects. 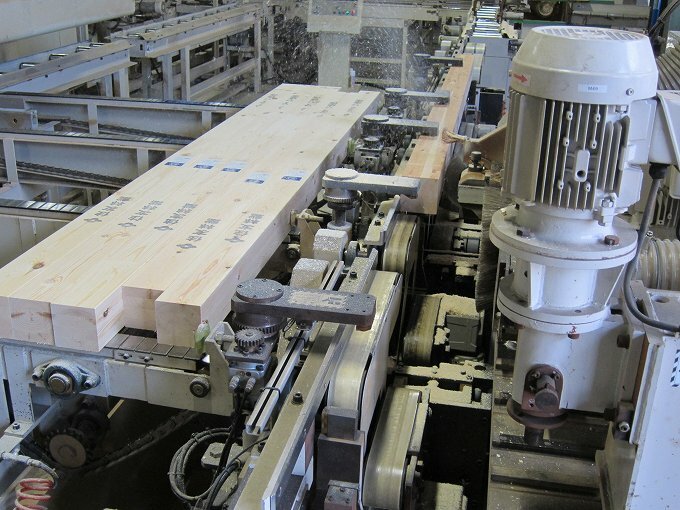 Reliable quality of raw material particularly the moisture contents is crucial for accurate production of timber frame. 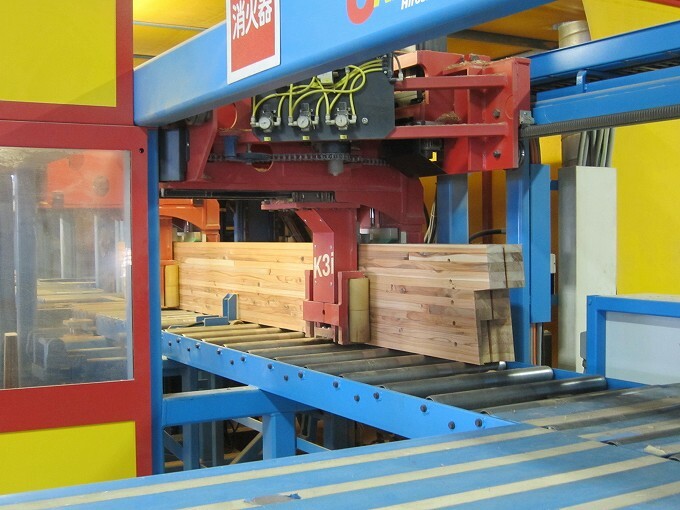 Recent innovative Kiln Drying (KD) system contributes to produce both dependable KD solid timber and lamellae for glue laminated timber (Glulam).Simultaneously, Glulams have become popular to use as structural frames after the establishment of the Quality Assurance Act. The modules of elasticity of each timber frame component are one of the crucial factors to measure the level of strength for earth-quake resistant structure.Each structural glulam is formed by certain strengthened lamellae to meet the required level of both elastic modules and shear modules. 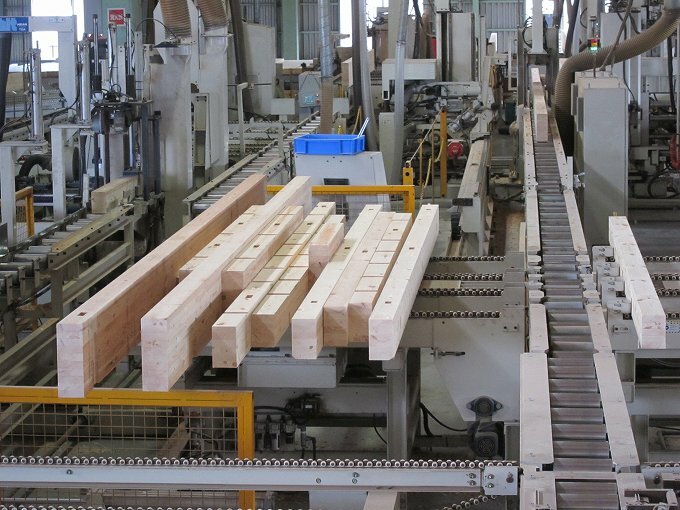 Hence, more and more light or heavy timber construction used to glulam is built in commercial and residential projects substitute for steel frames and concrete structures.We usually stock a wide range of Glulam and KD solid timber as inventory and the species are followings. Glulams are usually consisted by the same species of wood both inner and outer lamellae. 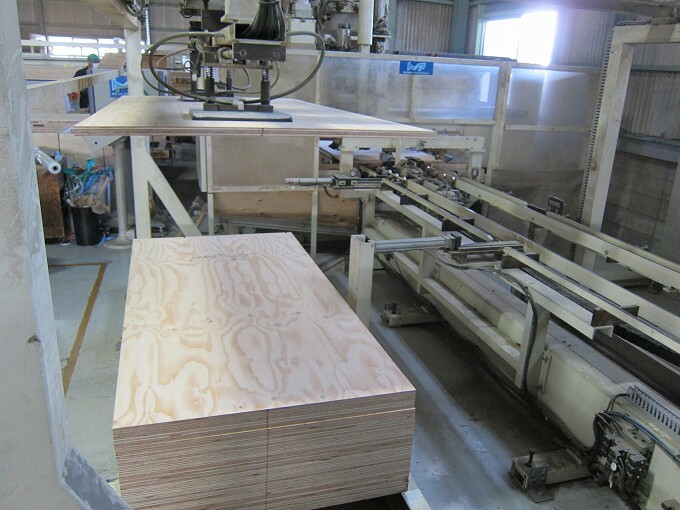 However, Hybrid Glulam are recently available in Japan’s Market, e.g. 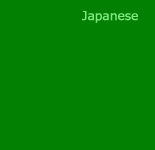 Hinoki for outer and Sugi for inner lamellae, Douglas fir for outer and Sugi for inner lamellae. Lamellae of a piece of plywood are generally comprised by a couple of species. CAD data will be interfaced with CAM system for machinery. 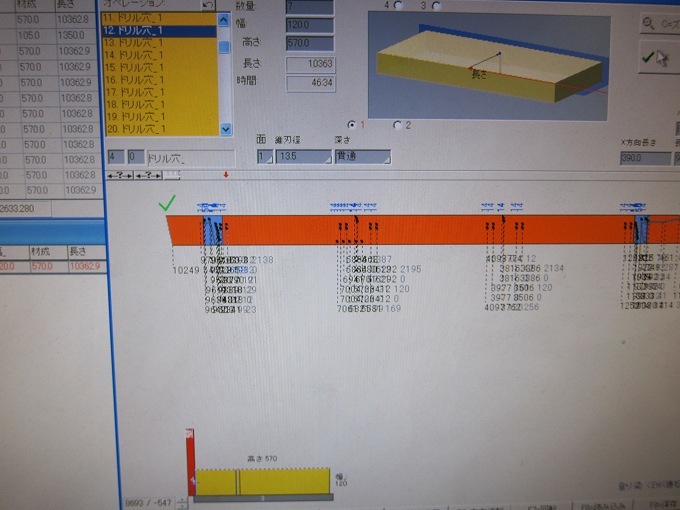 Also paper-based parts list and drawings output from cad system are used for selecting materials and inspection of finished products. For hand cut product, we use both cad based and hand writing drawings for crafting process. 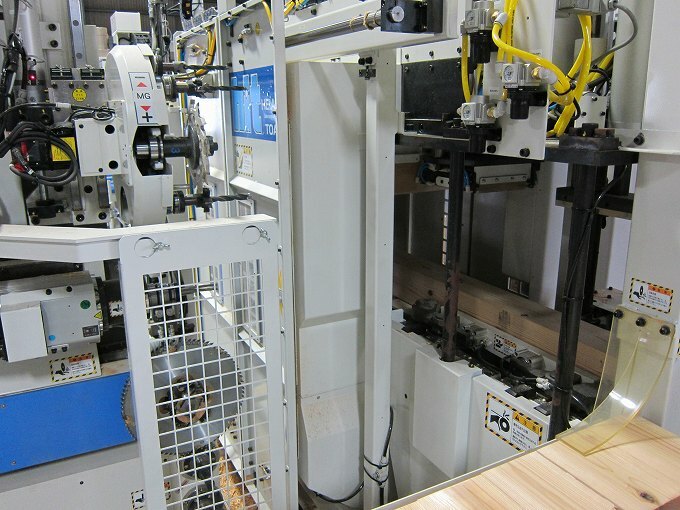 In order to reduce lead time and waste material, we operate our pre-cut machines to produce frame components as much as possible. 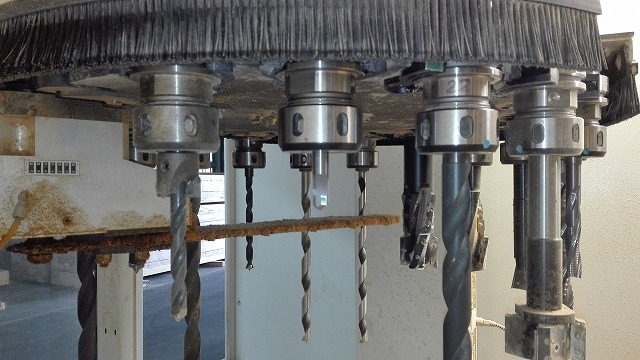 pre-cut machines operate most of our craft work. 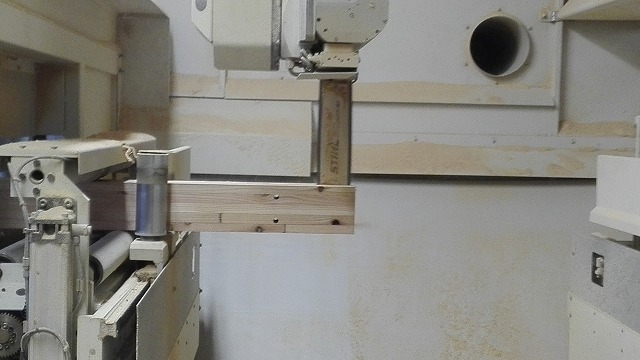 There are dedicated machines and CNC machines equiped with a five axis and a six axis. 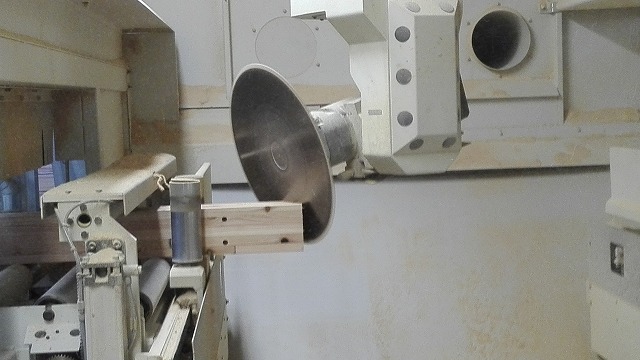 Making sure to meet our quality target, we carry out measurement for length and dimension sizes, and defects in the timber material before and after production with measuring tools. 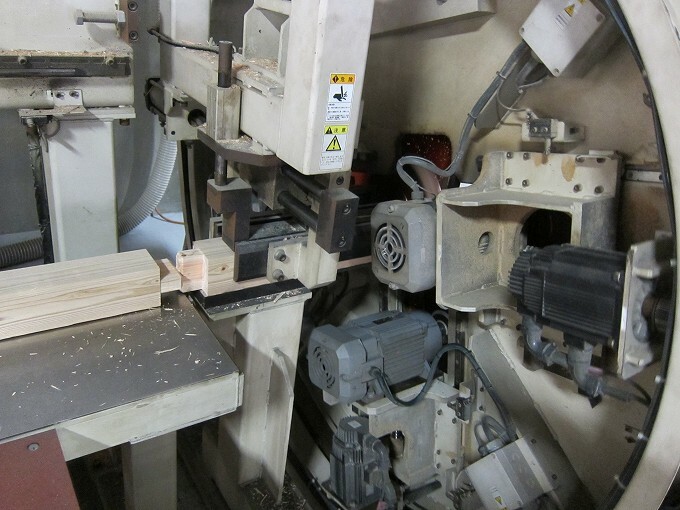 Before crafting work either machine cut or hand cut, removal of any timber material which has defects e.g. side bend, cup, twist, compression failure, major dead knots etc, is implemented when we select the material. The precision is the basic policy of our quality control towards our any product. We commit to strict check for length and size of crafted joinery part with drawings of cutting part by CAD system or hand writing. 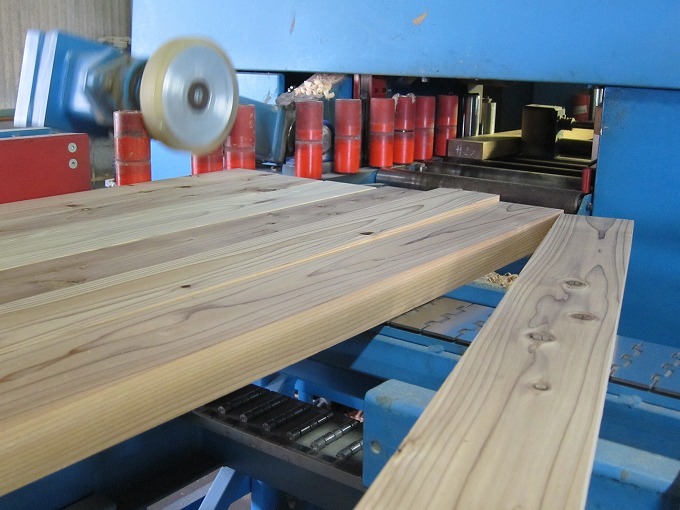 Then we re-check if any material defect on the timber component. The package is separated in types of component to achieve smooth and safe erection work on site. We check the component list to make sure that all parts are packed on each project. All components will be delivered to the site when you are ready for rising. We arrange lorry or small track with or without crane from several options that suit the construction site condition and erection schedule.